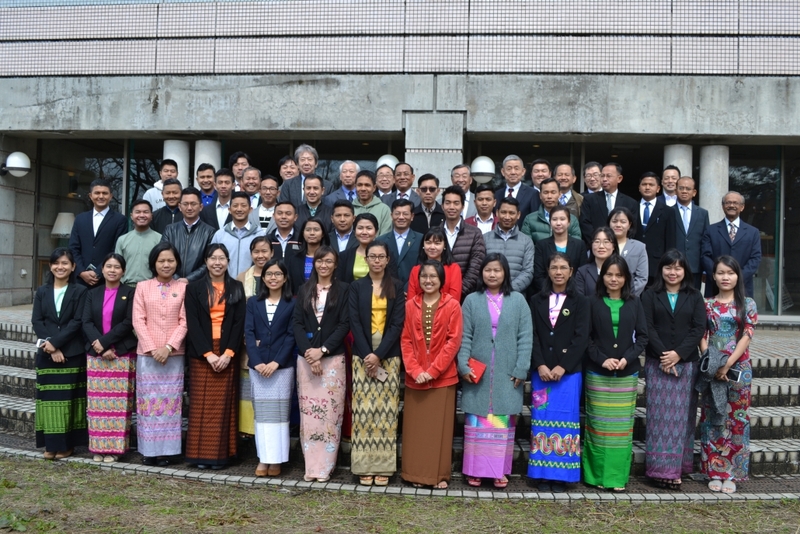 At the invitation of the Nippon Foundation, a Myanmar delegation led by Union Minister for Border Affairs Lt. Gen. Ye Aung paid a visit to Japan to study the Japanese educational system as well as to discuss further cooperation between the Nippon Foundation, the Ministry of Border Affairs and the International University of Japan. 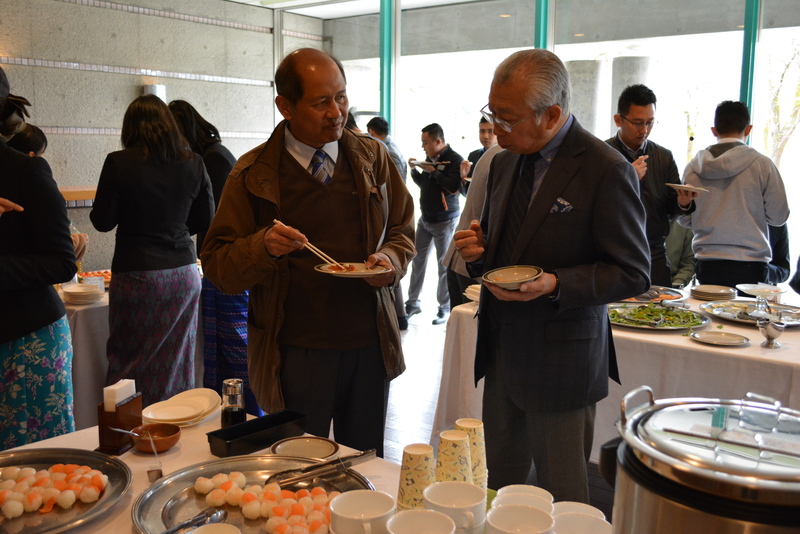 During the tour, the minister visited the IUJ campus and met IUJ President Hiroyuki Itami, Vice President Noboru Yamaguchi, and students from Myanmar who were wearing traditional “longyi”, and all participants enjoyed a harmonious welcome party. We have implemented training programs for officials of the Ministry of Border Affairs, granted by The Nippon Foundation and will hopefully continue to do so, so that we can contribute to Myanmar’s human resource development.